In the center is Larry Saunders, Salk alum, former SGA President and current adjunct professor in Criminal Justice. He is the referee for College football’s FCS National Semifinal game tonight at 8 on ESPN 2 between New Hampshire and North Dakota State! 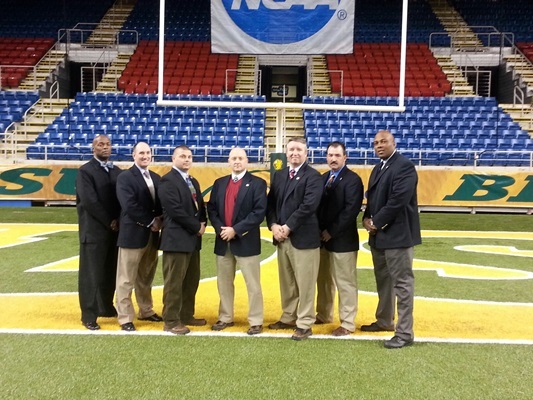 Tune in to ESPN 2 tonight (12/20/13) for the FCS National Semifinal football game and see Salk’s own Larry Saunders refereeing the game!